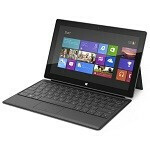 Microsoft is eager to get Surface owners signed up for feedback on the newly released tablet. Just for signing up, you might be eligible to win $200 in accessories for your tablet. The survey has not yet begun, the company is gathering interested participants’ information (tablet serial number, etc.) and those people will receive information about the survey in a couple of weeks. Alas, the survey is only for those residing in the United States. The types or quantities of the accessories are not specified. The Surface RT tablet has received pretty decent reviews overall, though it has not been without its critics. The lack of applications is a point of contention despite the build quality, solid performance and good battery life. There have been random sound issues reported and build quality problems with the available Touch Cover. That said, this feedback is sure to be put to good use as Microsoft has reported that the company has sold 40 million copies of Windows 8. That is not a bad showing 32 days into the rollout. If you are interested in signing up for the survey, click the source link below. Microsoft has announced that it would support it's Surface computer for 4 years. to Do this right. Microsoft needs people who use them to give them information about how they are working. the first Generation "Surface" Owners info are really important because their information will enable Microsoft to make Next years "Surface computer Better. It will have all the benefits of the updates that will be given to correct the first generation surface computers problems. Sinofsky who use to head the Windows division of the company was said to not take to heart the input of people who use to test Microsoft software, apparently Microsoft is not going to continue that policy. this is a good thing. it will make Microsoft a good company and People will buy Microsoft branded Products because Microsoft is making them better.